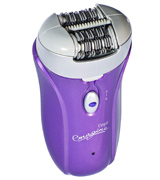 The shaving part of the epilator includes 72 pincer heads that have been implemented in a chequered pattern. They are wide enough to deal with a large part of the skin without the necessity of doing more strokes. When used on the face, the procedure is likely to be rather painful. 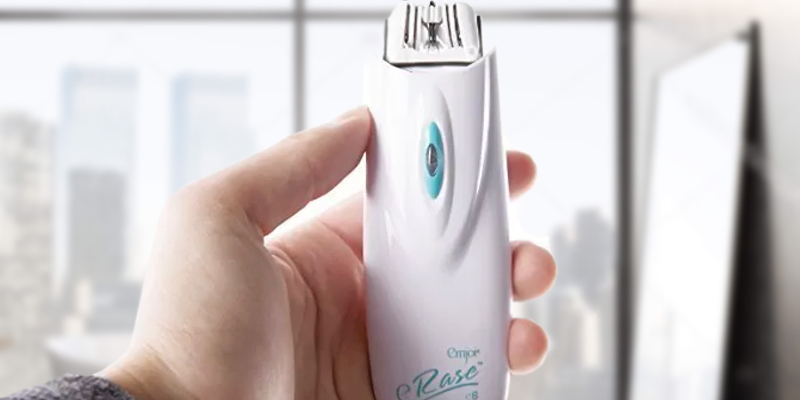 The model in question is probably the best epilator for fast and safe hair removal that easily cuts flat and fine invisible hairs at the same time. 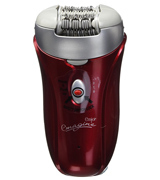 This epilator comes equipped with the Silver Ion technology. It has an antibacterial effect, making it a much more hygienic option compared to most epilators. The Emjoi AP-18R epilator is designed to bring a maximum amount of comfort through the epilation procedure and long-lasting, excellent results. The model is suitable for different body parts. It comes with a pouch in a set. The patented 3-disc system includes one fixed disk and two mobile ones that open and close. Thanks to the triple pincer system, the skin is being slightly lifted up and only after that the hair is gently removed. As a result, the procedure is more effective and less painful. The product is relatively noisy. 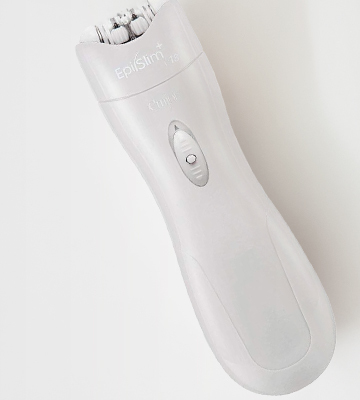 The Emjoi Epi Slim epilator has an elongated and convenient shape for hair gripping. It will spare you from unwanted hairs on your body for several weeks in advance. This device won't leave any chances for even the shortest hairs, up to 0.01 inch long. The built-in disks have an optimal radius for removing hairs (up to 0.5 inches) and include a set of tweezers that make 540 movements in a second. Thanks to such speed, epilation of any large body part won't take much of your time. Users with sensitive skin should cool the skin down before the procedure. The compact Emjoi Epi Slim+ e18 epilator runs on two batteries, that's why it is perfect for traveling. The device is suitable for epilating dry skin. For comfortable cleaning, there is a brush in the set. If you press the device too close to your face during the epilation procedure, the device will turn off automatically, so you won't have to worry about accidentally hurting yourself. It may be a little uncomfortable to epilate ears and near the ears. The Emjoi eRase e6 epilator delicately and carefully removes hairs from your face, the most sensitive and visible body part. The company's very own technologies guarantee that, after the procedure, you won't see any redness or irritation, and your skin will be smooth and nice to the touch. 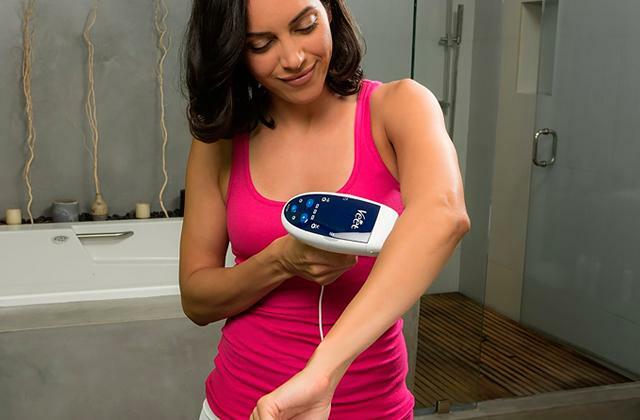 This Emjoi epilator is a corded pincer hair removal device that boasts great power and functionality. It’s the first epilator in the world with the Silver Ion technology that ensures excellent protection against bacteria. 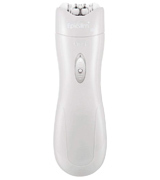 Emjoi epilator is made in a way to cover more surface of the body and simultaneously pull out more hairs in one pass. The Emjoi AP-18 epilator comes with 72 tweezers. This is twice as much as most other hair removal machines have got to offer. The sharp pincers quickly rotate back and forward and grasp all the hairs right at the root. 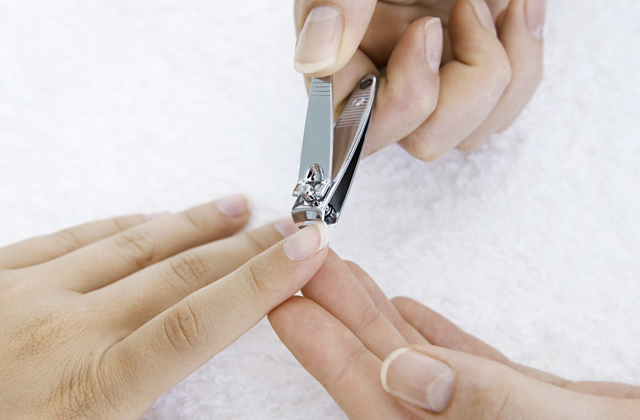 The tweezers work on the technology of lifting fingers so that a risk of having ingrown hairs is reduced to the minimum. 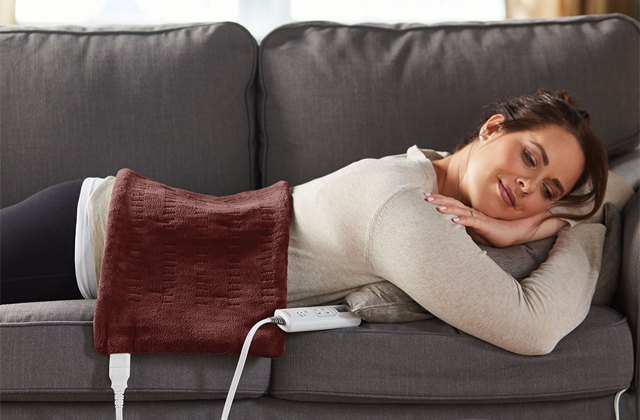 Silver Ion technology guarantees safe and comfortable epilation with a lasting smooth effect. 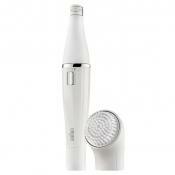 Emjoi epilator is one of the best epilators for a face. It effectively works on most body areas, including chin, upper lip and underarms. But the best thing about it is its soft and silky like results that last for about 6 weeks and more. With this rechargeable Emjoi Emagine cordless epilator, you will need to do fewer passes than with any other hair removal machine and pull out the hairs from the most sensitive areas quickly and efficiently. 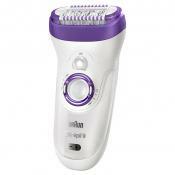 It’s the only epilator that offers Silver Ion Technology for antibacterial protection. You won’t need to worry about bacteria infection as it’s never gonna happen to you with this versatile device. The “lifting fingers” technology prevents ingrown hairs, relieves the pain and easily removes flat and really short hairs. 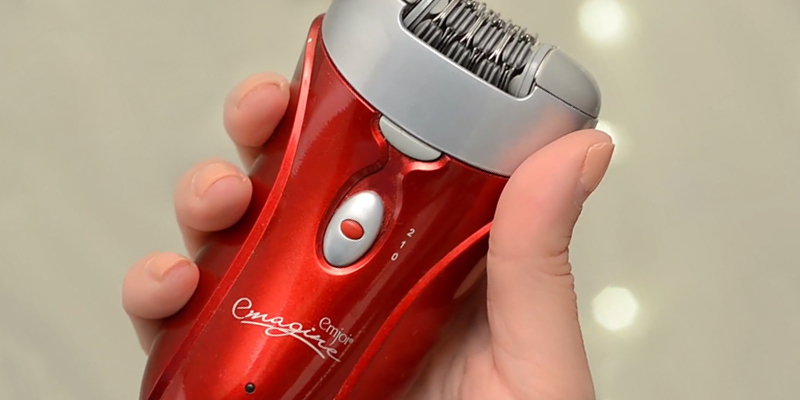 If you're on the market for a new epilator, you might want to check out the Emjoi AP-18R. 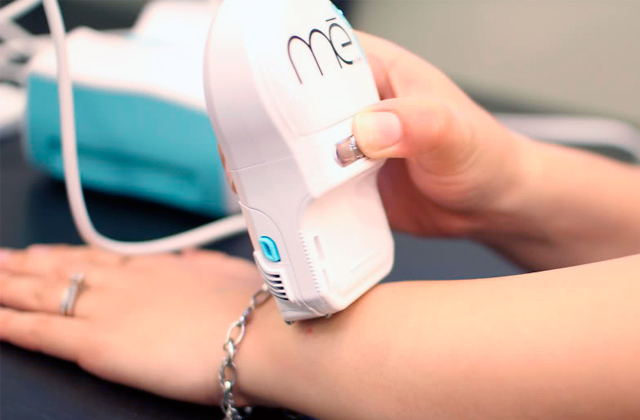 This device features the Silver Ion technology, thanks to which you can use this tool on sensitive areas like armpits and face without hesitation. It won't cause any irritations or redness. Moreover, there is a very low chance of contamination since this great feature has an antibacterial effect which makes your hair removal process safe and highly hygienic. Not only will your epilation be safe, it will also be totally painless due to the use of special glide technology. The Middle Lifting Fingers technology will make the process even less unpleasant by lifting your skin up before removing the hair. Furthermore, your epilation procedures are about to become a lot shorter. This device is fitted with 72 tweezers in Dual-Opposed Staggered Head, which, in our opinion, is a very impressive number. 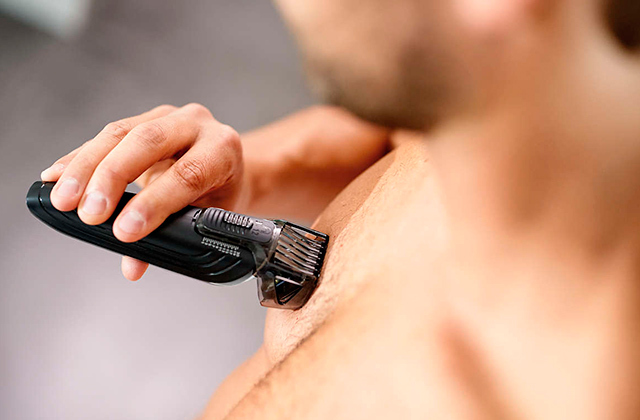 They will efficiently remove hairs on large body parts in a single pass. You can also choose between two different speeds to make the process as fast as you want. The only drawback to this model is the long charging time. Saying this, its operating time on a full charge more than makes up for this shortcoming. In short, this rechargeable Emjoi epilator will become a perfect fit for every lady who wants perfectly smooth and flawless skin for weeks to come. 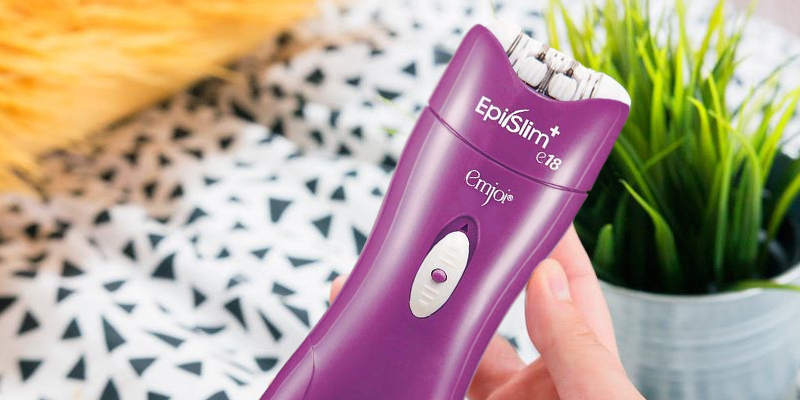 The Emjoi Epi Slim epilator is a convenient little device that is perfectly suitable for removing unwanted hairs from various body parts. 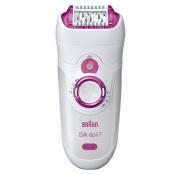 It is the first epilator on our list that features special patented operation structure. The process becomes effective and quick thanks to the 18 tweezers that come in a patented 3-disc system. It includes one fixed disk and two mobile ones that open and close and remove short hairs (up to 0.01 inch long) from the root. In addition to this, the erase and skin glide technology will reduce unpleasant experiences during the epilation process. The skin is slightly lifted up and, only after that, all the unwanted hairs will be removed gently and carefully, without any irritations and redness. With only one stroke, you will be left with silky smooth skin, and the slightly painful sensations will be barely noticeable. Its elongated and convenient shape is perfectly suitable for hair gripping, that’s why even the finest hairs don’t stand a chance. Plus, this conveniently shaped model fits quite well in your hand, so the epilation process becomes more comfortable. 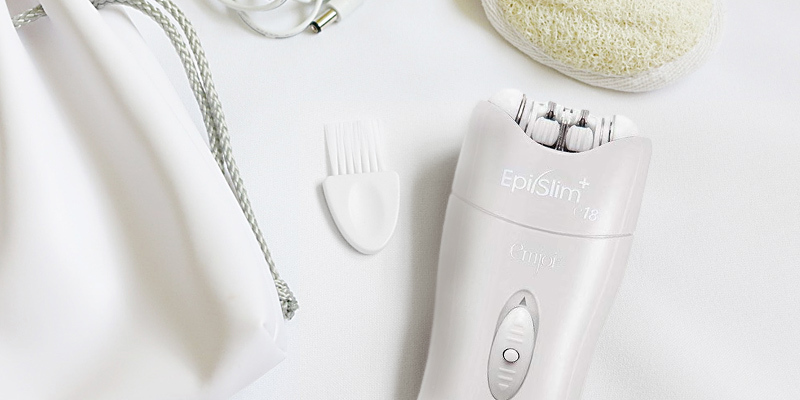 If you want your skin to look smooth and gorgeous, the Emjoi Epi Slim epilator won’t fail you. You will be enjoying the results of its flawless operation for weeks. If you are looking for a convenient portable appliance, this Emjoi epilator perfectly fits the bill. Working on a patented 3-disc system, this pincer hair remover is fitted with 18 tweezers that make 540 movements per second, so the epilation process won’t take long. All unwanted hairs will be carefully pulled out without damaging your skin. 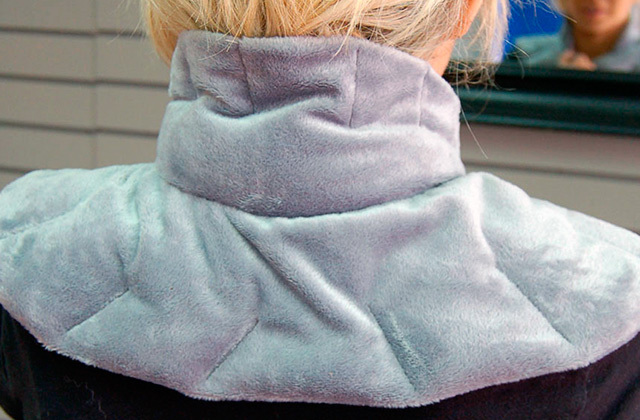 With the special anesthesia technology, the device gently glides on your skin and doesn’t cause unpleasant experiences. But you have a super sensitive skin and want to make the epilation experience even less painful, we would recommend cooling it down first. Another thing worth mentioning is that this efficient device is battery-operated, however, bare in mind that the batteries are not included. Such an option is incredibly handy if you are looking to take a long trip and want to keep your skin perfectly smooth on the road. This is also an ideal match if, for some reason, you are not able to charge your device all the time. 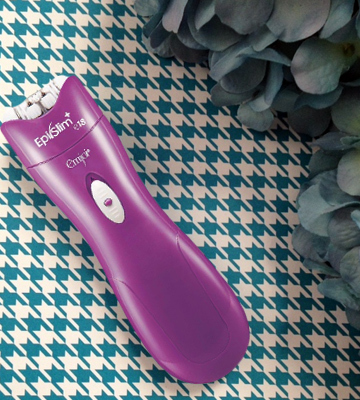 Moreover, thanks to the practical design, this epilator won’t slip out of your hand during the epilation process. 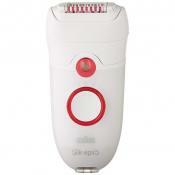 The Emjoi AP-14LC epilator is an affordable and convenient appliance that will please you with long lasting results. Keep your skin looking as dazzling as ever with the help of this device. 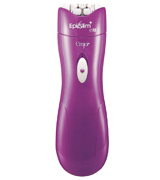 Another epilator on our list that is worth your attention is the Emjoi eRase e6. If you are in need of a device that will help you get rid of unwanted peach fuzz from your cheeks, upper lip, or chin, this facial hair remover will fit you to a tee. This little device is equipped with a 3-disk system that makes your skin smooth and hairless in one pass. All the peach fuzz will be delicately removed with six tweezers in the head, and you will be left with perfect long-lasting results. 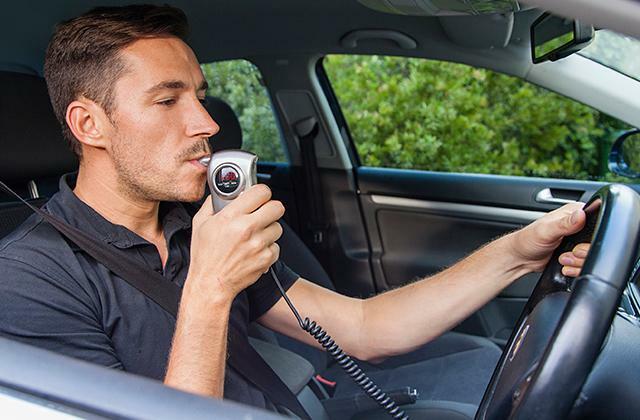 Another great thing about the Emjoi eRase e6 is an Auto Stop safety feature. If you press the device too close to your face during the hair removal procedure, the device will turn off automatically, so you won't be able to accidentally hurt yourself. Moreover, as a few other Emjoi epilators, this model features improved anesthesia technologies which guarantee you a safe and gentle epilation process. Though you might feel a little uncomfortable while epilating around your ears, so try to be extra careful in this area. 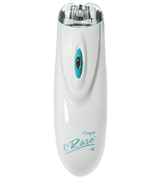 The Emjoi eRase e6 hair remover is a convenient appliance for such a highly sensitive body part as the face. 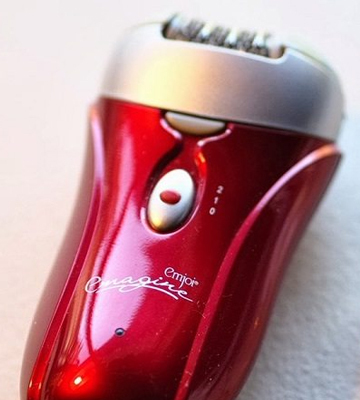 Remove unwanted peach fuzz with the help of this tool, and you will notice that your skin will become incredibly silky and stunning, and your makeup will glide on perfectly. What Is an Emjoi Epilator? Over the years, people have been able to come up with multiple ways of removing unwanted hairs from their body. Not all of them are very pleasant, but now, thanks to the progress in this field, this process is less painful than it ever was. There is a wide selection of hair removing techniques, procedures, and devices on the market, but there is no doubt that the most effective ones are epilators. These products make your skin perfectly soft to the touch by removing each hair individually from the root. That means that your body will stay smooth and hairless for a longer period of time. Thanks to constant improvements, modern epilators feature different anesthetic options that make the process less painful even on the most sensitive and delicate body parts. 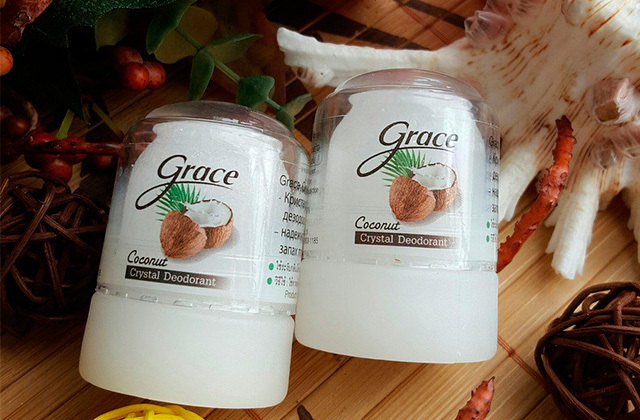 You can epilate your face, armpit, and the bikini area without worrying about any unpleasant feelings. Epilator is a great device for those who have a sensitive skin or suffer from allergies, and try to figure out how to make their skin smooth without any harmful consequences. It might seem like a pricey investment but keep in mind that it will serve you for a long time, plus your hair removing procedures will become less of a pain in the neck. That’s why we would like to draw your attention to our selection of five Emjoi epilators.